DUBAI, UAE. Burj Al Arab hotel in Dubai. 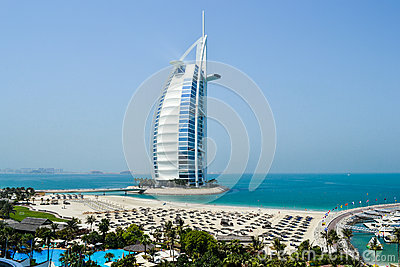 Burj Al Arab is a luxury 5 stars hotel built on an artificial island in front of Jumeirah beach.